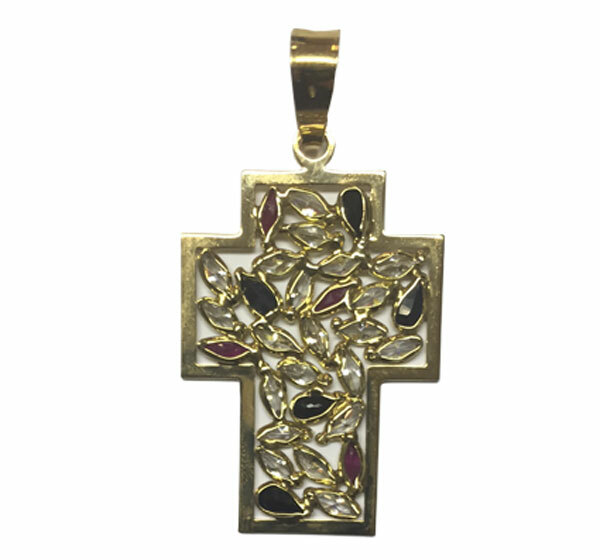 Cross gold 18kts with semi-precious set in different colors. Long 3.10 cmts - width 2.10 cmts. Weight 6. 50grs.